Joseph Garrel is the principal financial adviser of Garrel Financial & Insurance Services (GFIS). GFIS is a full-service boutique financial services firm that was launched in New York City 15 years ago and has recently expanded with a second office in Brickell, Florida. Joe focuses on holistic financial planning, wealth management, estate planning, and strategies and benefits for small businesses. He has qualified for the prestigious Million Dollar Round Table1 five years in a row, from 2014-2018, and is affiliated with Eagle Strategies LLC as a Financial Advisor. Joe works with a diverse group of clients, including young professionals, families, pre-retirees and retirees, start-ups, and foreign nationals. Joe’s objective when meeting any new client is to understand their current needs and short and long-term goals. This information helps him develop a personalized approach for clients with innovative solutions to fit their financial needs and help mitigate against taxes2. Joe offers access to products and services from top carriers and wealth managers, and works with tax and estate attorneys, accountants, and bankers to help formulate and implement advanced financial strategies. Joe is from Great Neck, NY, and graduated from George Washington University with a Bachelors in International Business and Marketing in 2002. He is a big fan of the NY Knicks, an avid tennis player and a history buff. He lives in Aventura, FL, with his wife, Orlie, and two young children, Adrian and Maya. 1The Million Dollar Round Table (MDRT), The Premier Association of Financial Professionals, is recognized globally as the standard of excellence for life insurance sales performance in the insurance and financial services industry. 2Neither New York Life Insurance Company nor its agents or affiliates or Garrel Financial and Insurance Services or its staff provide tax, legal, or accounting advice. Please consult your own tax, legal, or accounting professional before making any decisions. Joseph M. Garrel is an agent licensed to sell insurance through New York Life Insurance Company and may be licensed with various other independent unaffiliated insurance companies in the states of Florida, New York, New Jersey, Pennsylvania, Connecticut, Maryland, Virginia, Massuchussets, Michigan, Minnesota, Arizona & California (Ca Insurance Lic# 0E30172). No insurance business may be conducted outside these states referenced. Joseph M. Garrel is a Financial Adviser offering investment advisory services through Eagle Strategies LLC, a Registered Investment Advisor, offering investment advisory services in the states of NJ, CT, CA, FL, MD, MI, NY, and VA. As such, these services are strictly intended for individuals residing in the specific states referenced. 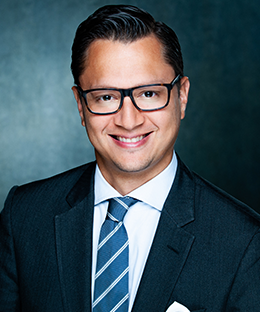 Joseph M. Garrel is a Registered Representative of and offers securities products & services through NYLIFE Securities LLC, Member FINRA/SIPC, a licensed insurance agency. In this regard, this communication is strictly intended for individuals residing in the state of NY, NJ, FL. No offers may be made or accepted from any resident outside the specific state referenced. Garrel Financial & Insurance Services is not owned or operated by NYLIFE Securities LLC or its affiliates. Joseph M. Garrel is licensed to offer mutual funds and variable products. Market Watch data is being provided for informational purposes only and is not intended as an offering of securities.